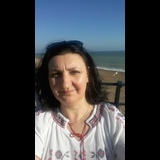 Positive and can do person, tidy, carrying, very well organised, educated, speaking a very good English, but I'm Romanian at origin, speaking also Italian fluently, French - even I forgot a bit because not talking often, a bit of Spanish and German, all countries where I have been working as care assistant or hotel receptionist. In Romania, I worked as accountant and economist after I graduated. I done domiciliary care in Uk, but prefer live in care because offers stability and private space, not too much driving and give the opportunity to socialise differently. I prefer long term contracts, but I can work few weeks, till 3 months with a break after.